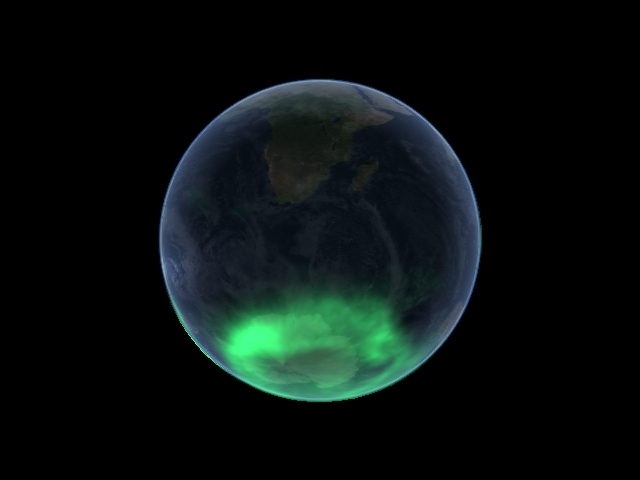 The aurora, colorful curtains of light seen from Earth at high latitudes, are caused by charged particles energized by the Earth’s magnetic field colliding with nitrogen and oxygen in the thermosphere. Particles with even greater energy penetrate to the lower thermosphere and mesosphere, forming nitric oxide that can descend to the stratosphere and contribute to the destruction of ozone. LASP scientists and students are contributing to the understanding of these important atmospheric processes. LASP scientists also study ozone depletion in the polar lower stratosphere, a phenomenon closely linked to the occurrence of polar stratospheric clouds (PSCs). These rainbow-colored, shimmering clouds form only over the polar regions during the winter and early spring. PSCs set the conditions for the yearly ozone “hole” in Antarctica, and for significant ozone loss in the Arctic as well. When stratospheric ozone is depleted, more ultraviolet light penetrates to the Earth’s surface, causing damage to terrestrial life. LASP scientists employ theoretical models and data from numerous satellite and aircraft instruments to quantify the relationship between PSCs and polar ozone depletion. The extent of ozone is monitored each year to gain a predictive understanding of stratospheric chemistry and transport.